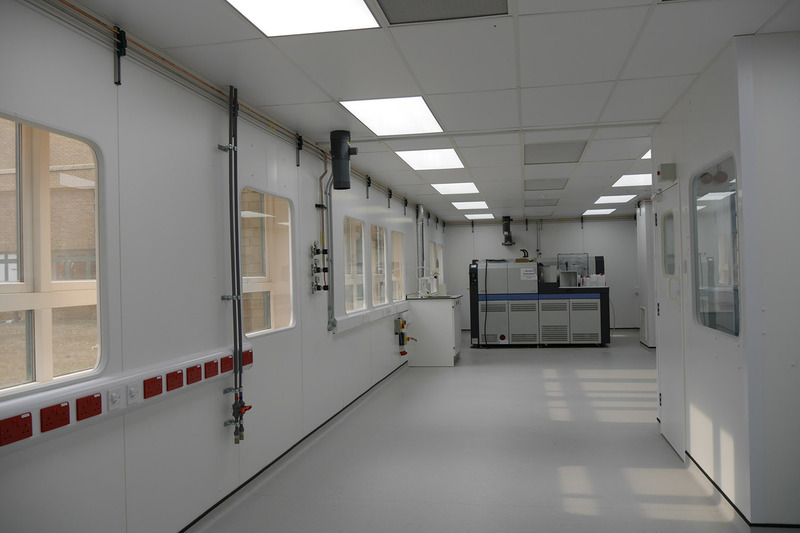 This lab refurbishment scheme involved remodelling an existing lab to accommodate a new Mass Spectrometer. 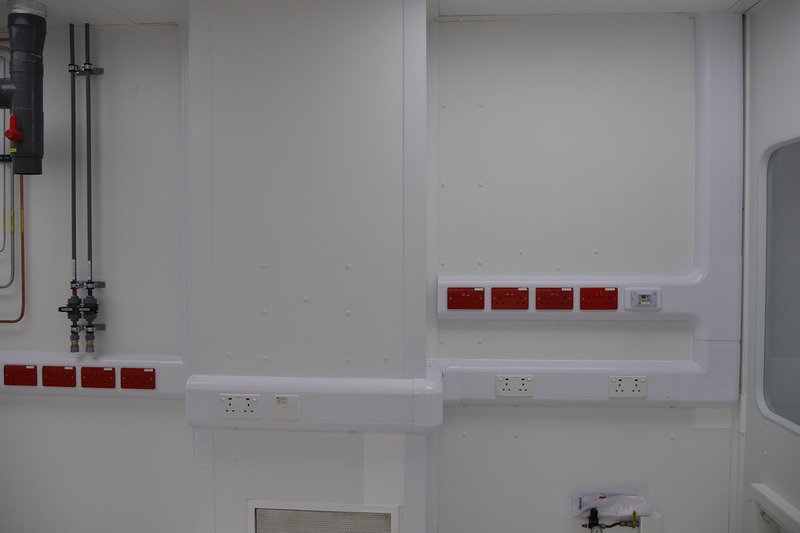 After screening off existing equipment to protect it, we stripped out the existing fittings, flooring and suspended ceilings and demolished a non-loadbearing wall. 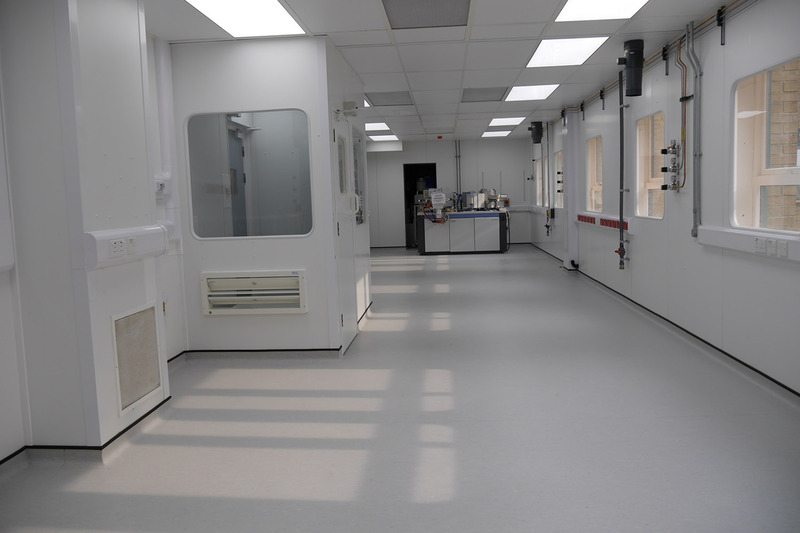 We then prepared a new sub floor and installed new flooring and ceiling systems, upgrading the mechanical and electrical services and installing new fittings. 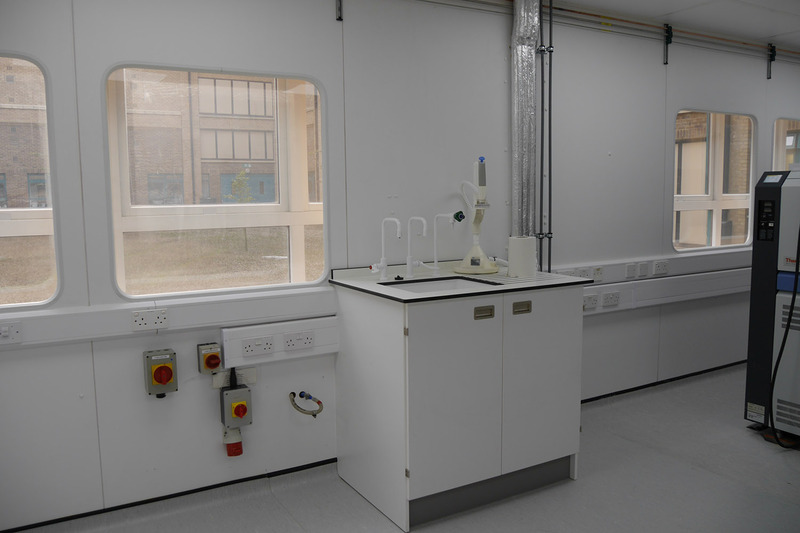 This project required specialist skills to remove and isolate the old fume cupboard and manage potential exposure to the contamination present.